I am a Shimano guy. That is all I need to say. 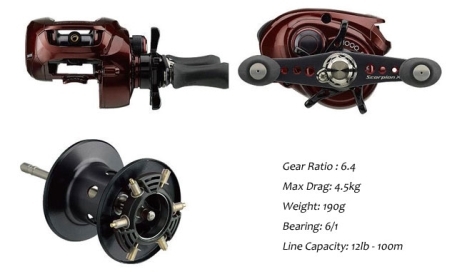 I have tried them all, but I keep on going back to my trusty Shimano Scorpion XT reels. I am really a fan of the Japanese models that we can get from certain Vendors and ebay. The price might be a little more, but once in your hand you can tell why. The new Shimano Scorpion XT caught my eye and it will be part of the arsenal one day. 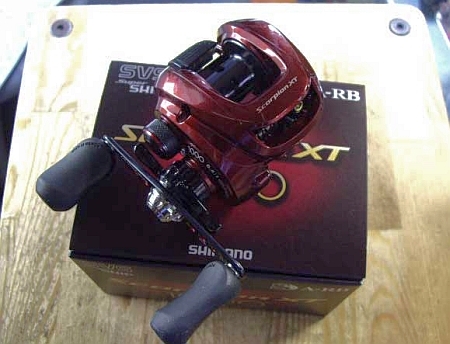 It looks like they have not changed the color from the original Shimano Scorpion. No complaints from me, I like it. 100 yards of 12 pound test seems more than adequate for some bass fishing to me. I will probably end up using 10 pound test anyway. Granted the drag might be a little light but I am sure you can upgrade to some carbontex washers down the road. All boxed up and ready to go. I would pair this up with a nice 7 foot medium rod and make it a killer stick bait combo. Hopefully the wife reads this and buys it for me for being the nice guy that I am. Do you have this reel already? Let me know how you like it. 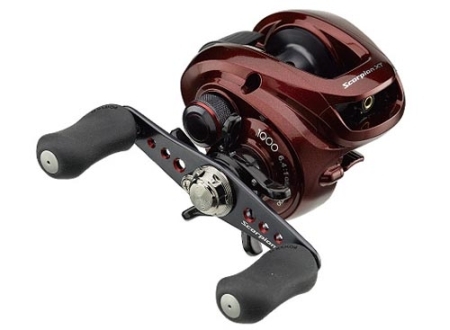 I really want to know how it compares to the Shimano Scorpion 1000’s I already have.